When someone talks about Colorado, people generally think of mountains, mountains, and more mountains. However, it is more than just mountains. It has deserts, plains and lots of sunshine. Here in Colorado, we have great outdoor activities, panoramic views, and majestic mountains. Colorado residents are always ready to help each other in time of need. Do you know more than 26.9 million Americans are deaf? Since 1980, hearing loss associated with excessive noise has tripled. Also, approximately 1 in every 1000 babies is born deaf while 6 in every 1000 babies are hard of hearing. If you want to help people, earn a handsome income and work according to your schedule, get ready to prepare yourself for hearing aid specialist licensing exam here in Colorado. A majority of people often associate hearing aid with elderly people. But people falling in any age group can be a victim of hearing loss. When someone experiences hearing loss, it can be a stressful period. As not everyone is aware of sign language, therefore, it becomes a struggle for deaf people to communicate. According to a Journal of the American Academy of Audiology research study, wearing hearing aids help people improve their social, emotional and psychological health. Also, untreated hearing loss increases the risk of developing dementia while reducing cognitive functioning. Therefore, it is important to wear professionally fit hearing aids to correct hearing loss. Hearing Aid Academy gives you a chance to prepare for hearing aid specialist licensing exam here in Colorado and start practicing as a hearing aid specialist in less than 3 months. Hearing Aid Academy has been helping students from the past decade to clear their written and practical International Licensing Exam (ILE) administered by the International Hearing Society (IHS) and become a hearing aid specialist (HAS). So if you live in Colorado and want to become a hearing instrument specialist, enroll yourself in the Hearing Aid Academy’s online program and become a HAS within 12 weeks. Online education has plenty of benefits over traditional colleges. Here are a few of them. Online education is becoming popular as it comes with a vast array of benefits. If you work full time yet want a degree program to enhance your skills and suit your busy schedule, online course is the best bet for you. Hearing Aid Academy offers you a more flexible learning schedule. The self-paced online course allows you to set your schedule, study whenever you get time and work from any location with a working internet connection and a laptop. If you are looking to get licensed as a hearing aid specialist in Colorado through the traditional route, you need to invest hundreds or thousands of dollars along with 2 to 3 years of your life. However, what if we say that you have an option to prepare for the hearing aid specialist licensing exam in less than 12 weeks, surprised? The Hearing Aid Academy is a specialized program designed to help students pass the written and practical exam in their state. Since the foundation of the academy, we have helped students, like you, become HAS within 3 to 6 months. 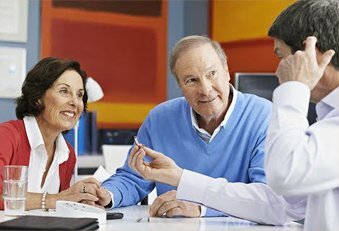 Hearing aid is a growing industry as people above the age of 65 are in need of hearing aid. Enroll today and graduate in less than 12 weeks. While traditional colleges cost you a hefty amount for the hearing aid specialization program, you can prepare for the hearing aid specialist licensing exam online at a much lower cost. Moreover, online program offers you the advantage to work as fast or as slowly as you want. There are 31 training modules. Start with first training module and work your way through the advanced level education program that is proven to help you pass the state licensing exam successfully. The HAA training program is devised to cover all the core training areas, for passing both the written and practical exams. Each Colorado student enrolling with the Hearing Aid Academy is assigned an experienced hearing aid specialist who has at least three decades of experience. They will work with you one-on-one as needed so that you never get stuck on any module and you are never alone while completing the program. The instructor will work with you to make sure you get personal guidance to succeed. Hearing aid professionals who are already in business know that HAA is the most comprehensive online program available to teach students what they need to know to pass the written and practical hearing aid specialist licensing exam. The Hearing Aid Academy offers the most complete and advanced 100% online education program for hearing aid specialists. It provides a student with all tools required to pass the state licensing exam and start a career in one of the fastest growing healthcare industry. Hearing Aid Academy offers you a chance to graduate within 3 to 6 months working at your pace. Different states have different requirements and Hearing Aid Academy helps you get familiar with what your state requirements are. There are currently 5 jobs for every hearing aid specialist licensing professional. So how about grabbing the opportunity to work for yourself in Colorado without a boss and a flexible working schedule?